Aquanex Freestyle Analysis Clinic in Tallahassee, FL on Jul 29 – FULL! 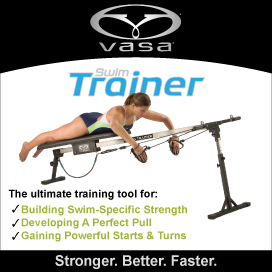 Home/Clinics/Aquanex Freestyle Analysis Clinic in Tallahassee, FL on Jul 29 – FULL! 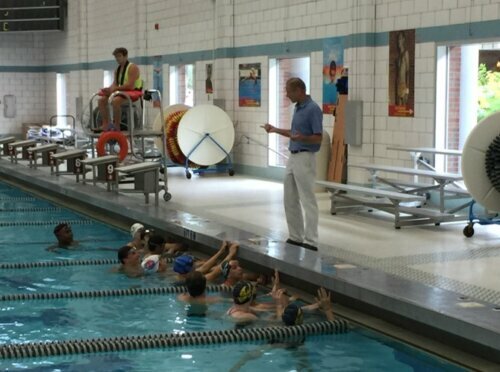 This half-day clinic is directed at swimmers who want to make a big improvement in a short amount of time. The clinic format allows for a comprehensive presentation of optimal technique. Each swimmer is analyzed with Aquanex on freestyle. This clinic will provide swimmers with a great deal of individual feedback and a complete analysis. This clinic is limited to 12 participants to ensure plenty of individual attention for incomparable progress. During the analysis session in the classroom, Dr. Havriluk will use MONA (a biomechanical model) to demonstrate optimal technique. Visual and kinesthetic cues for each key position within the stroke cycle are explained so that the swimmers understand how to focus on optimal technique when they return to their normal training. Participant fee includes Aquanex testing and analysis of freestyle; a playback version of the Aquanex software and swimmer’s individual files. The recommended minimum age for participation is 12. The fee is $99. The clinic will be conducted by Dr. Rod Havriluk. Rod is a biomechanist and a former swim coach. He is the inventor of Aquanex and the developer of MONA. He has been conducting research on swimming for over 25 years. He is one of the most widely published experts on technique and has presented his research all over the world. He is a member of: the advisory committee for the Counsilman Center for the Science of Swimming; the editorial board of the Journal of Swimming Research; and the review board for numerous scientific journals on human performance. He is regularly invited to speak at conferences and has been a speaker at ASCA, ISCA, BMS, FINA, IOC, USAS, USMS, and USSSA conferences. He has shown many of the world’s fastest swimmers how they can improve their technique to swim even faster. Our advanced technology has been thoroughly researched over the last 30 years. In addition, the instructional procedures have been supported with documented evidence presented at international conferences and published in swimming and scientific journals. We keep the number of participants small to insure individual attention, constant mental focus, and incomparable progress.